Different stakeholders, from the local to national levels, including governmental agencies, community representatives, policy makers, parliamentarians and academia have actively engaged to mobilize action, join efforts and identify solutions to save the Ciénaga Grande de Santa Marta Ramsar Site. The Ramsar Convention on Wetlands provides different tools to support Contracting Parties in making decisions regarding the Ramsar Sites whose ecological character is threatened, such as Ciénaga Grande de Santa Marta Ramsar Site in Colombia. The Ciénaga Grande de Santa Marta Ramsar Site is the largest estuarine system on the Caribbean coast of Colombia. In addition to its biodiversity values, the lagoon system supports the economy of the region. Around 3,600 people depend on these wetlands for fisheries. The fish production in this Site is about three times the production of the country’s Caribbean coast. The maintenance of Site’s ecological character has been threatened by anthropogenic action. In 2015 the Government of Colombia requested a Ramsar Advisory Mission. The Mission was carried out by technical experts in August 2016 in order to provide the Government with recommendations and neutral advice on the Site’s conditions. The status of the Ciénaga Grande de Santa Marta as the Wetland of International Importance and the Advisory Mission have both contributed in raising the importance of the Ciénaga Grande and the urgency for action. As recommended in the Mission report, the Government of Colombia requested the Ciénaga Grande de Santa Marta Ramsar Site to be included in the Montreux Record (a list of Ramsar Sites requiring priority action due to changes in their ecological character). The government is leading efforts to address its critical situation, which is affecting nature and people. It is using the recommendations of the Mission including on technical issues, such as those related to the hydrological dynamics and the design of the monitoring system, engaging regional and local authorities. The "Foro Nacional Ambiental" on the socio-environmental crisis facing the Ciénaga Grande de Santa Marta. 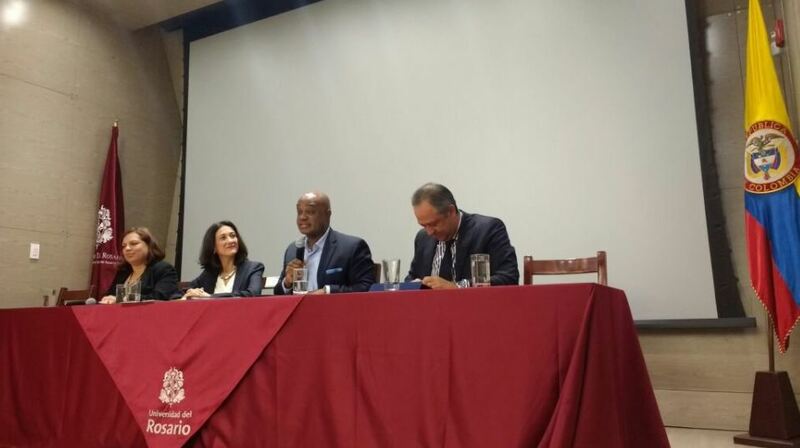 From right: Omar Franco, Director of IDEAM (Instituto de Hidrología, Meteorología y Estudios Ambientales), Luis Gilberto Murillo Minister of Environment and Sustainable Development, Martha-Rojas Urrego, Ramsar Convention Secretary General, Sanda Vilardy, Dean of the Faculty of Science Magdalena University. Different stakeholders, from the local to national levels, including governmental agencies, community representatives, policy makers, parliamentarians and academia have actively engaged to identify solutions, mobilize action and join efforts to save the Ciénaga Grande, using the outcomes of the Mission. It has become clear that the problems of the Ciénaga are not only environmental, but also social and socioeconomic, and thus require engagement from all sectors and actors. 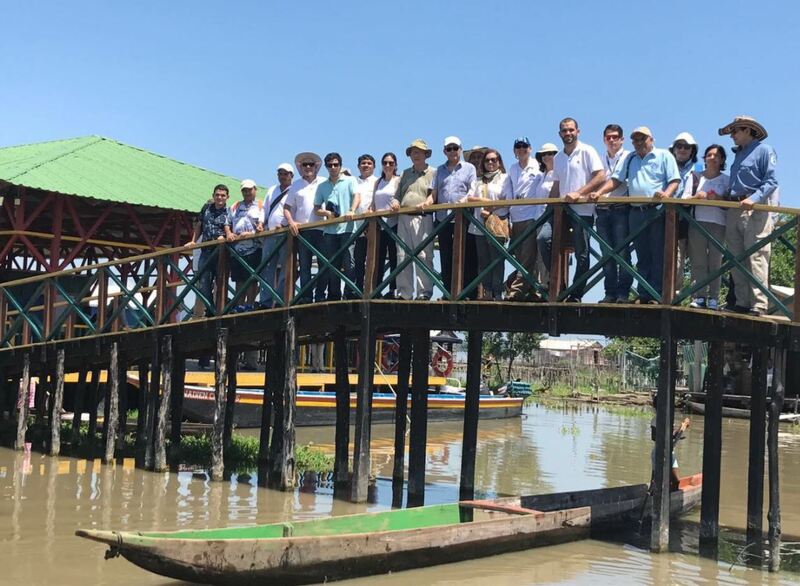 As a follow up to the Ramsar Advisory Mission, Ramsar Convention’s Secretary General, Martha Rojas-Urrego, and the Senior Advisor for the Americas, Maria Rivera visited the Ciénaga Grande de Santa Marta Ramsar Site and met Colombia’s national and regional authorities, as well as a range of stakeholders. A very influential public Environmental Forum on the socio-environmental crisis facing the Ciénaga Grande de Santa Marta was organised by the Foro Nacional Ambiental-FNA, Friedrich Ebert-Stiftung, Magdalena University and Rosario University) on the 4th of September. All these efforts and the mobilization of action will be decisive to find ways and take the necessary measures to reverse the ongoing degradation of the Ciénaga Grande de Santa Marta and to ensure that the ecological values and socio-economic services that led to its recognition as a Wetland of International Importance under the Ramsar Convention are conserved for the benefit of local people, the country and the world.